News, Reviews, and a Weekly Podcast by a few fellow gamers. What’s up All-Stars? We’re in the midst of a massive flood of information, spilling out of the Gamescom 2013 dam. Most of the new info is regarding Sony and it’s PS4. As many of you know, inFAMOUS is my favorite franchise in gaming, and a personal favorite of Podcast Infinite team. 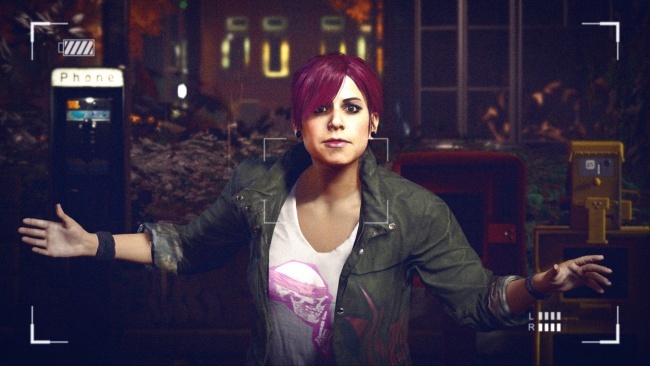 I’ll break down new details that I gleaned from the Gamescom trailer of inFAMOUS Second Son. Here we go! Is that…Laura Bailey, I mean Laura Willingham? Delsin Rowe, the main character of inFAMOUS Second Son, is played by the illustrious, Troy Baker. Delsin meets a new character, who just so happens to be a conduit, in the Gamescom trailer. Her name is Abigail Walker (no, not related to Ryan), aka Fetch. Now, by listening to her voice and simply looking at her face, I can tell you with 99.999% certainty that she is played by Laura Bailey. Who is Laura Bailey, you ask? Well, she’s Lady Comstock in BioShock Infinite. But more importantly, she’s married to Travis Willingham. Troy Baker was Willingham’s best man in his wedding. And, Willingham plays Delsin’s (Baker) older brother in inFAMOUS Second Son, Reggie. So, even though Laura Bailey has not yet been confirmed as Fetch’s actress, you heard it here first. inFAMOUS Second Son is like one big star-studded family affair! Delsin is a conduit, just like Cole MacGrath was in the first two inFAMOUS games. 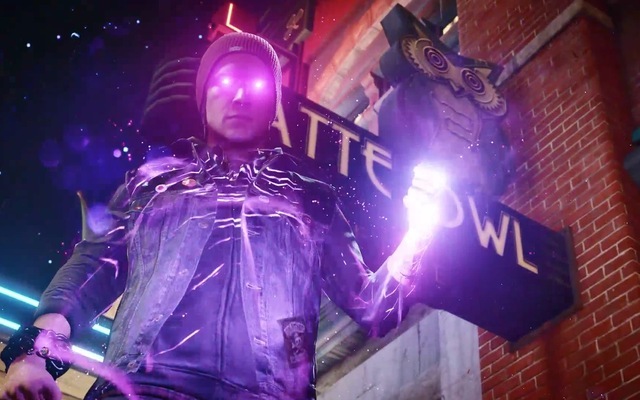 But unlike Cole, Delsin’s real ability isn’t locked to just one specific power. Delsin’s true conduit ability is to absorb the powers of any conduit he comes into contact with. As mentioned above, Fetch is a conduit herself. At first glimpse, it looks like her power is electricity just like Cole MacGrath. But, why is her energy pink in color? It’s because she’s a girl, right? Wrong! Delsin touches Fetch and absorbs her powers and it’s still a pink hue for him, as well. Hmmmm. Well, SuckerPunch has since confirmed that Fetch’s power involves neon. Yes, neon. You know, neon signs. However, there is no word as to how you actually use neon as a power. We do know that you can recharge your neon powers by absorbing neon out of those classic vibrant bar signs. Delsin’s two confirmed powers are smoke and neon. He is able to recharge his smoke power by passing by exploded cars, buildings on fire, etc. He can also disintegrate and dodge enemy attacks, fly, pass through chain-link fences and air ducts, and suffocate enemies with his smoke abilities. I’m sure there will be much, much more things Delsin will be able to do with his smoke powers, and vastly different things with the other powers he gains…like neon. It has been confirmed that inFAMOUS Second Son will be released in February 2014. The exact date is still unknown. With the PS4 launching in North America on November 15 of this year, February is a mere 3 months after launch. However, many of us agree that those will be the three longest months of our lives. In the Gamescom trailer, we briefly see the infamous comic-book-style cut scenes that started in the original inFAMOUS. There was hardly any in inFAMOUS 2, and it’s that amazing art style that helps tell the overall story! Good news, it looks like they’re back in full force. Well done SuckerPunch! At this point, we only have two trailers and a brief gameplay demo to gather as much information on inFAMOUS Second Son as possible. But, let me start to decipher what “Second Son” might mean. 1. The main character, Delsin Rowe, has an older brother, Reggie. That makes him the second son in his family…literally. 2. 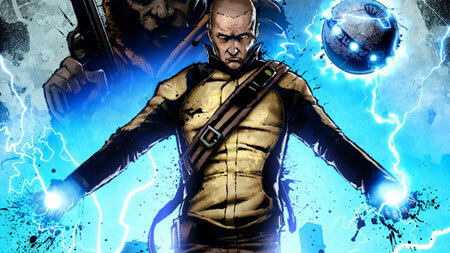 The only other main character in an inFAMOUS game has been Cole MacGrath. This makes the brand-new Delsin, the second playable character in the inFAMOUS series. 3. In the first two inFAMOUS games, there was a group of people called “The First Sons.” These people were responsible for the development of the Ray Sphere (what gave Cole his electric powers). Without spoiling the games, The First Sons were quickly villainized in the story-line. So who are The Second Sons? Who knows at this point. Just know that The First Sons played a major role in the two previous inFAMOUS games. For more on inFAMOUS Second Son in the coming months and all things PS4, PS3 and PS Vita keep it here on Podcast Infinite.